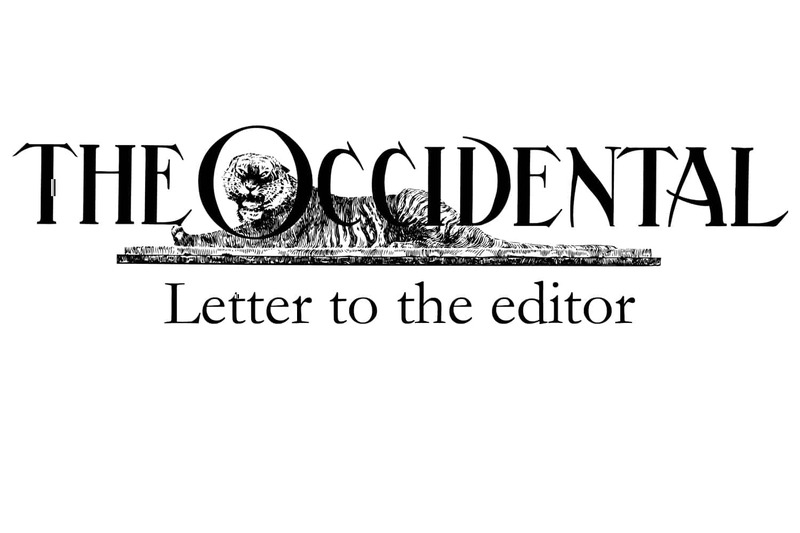 I am writing this Letter to the Editor in response to Ricardo Parada’s Letter to the Editor last week, that suggested I have been negligent in my responsibilities as Chief Diversity Officer (CDO) and VP of Equity & Inclusion. To give some context, last year I instituted some changes in an effort to give seniors more input into their graduation and to create a mechanism for seniors to display their cultural identities on one stole. I made these changes based on student and parent feedback from the class of 2016. Some seniors expressed anger and frustration because they had been omitted from the graduations. The omission was not intentional but because underclass students developed the invitations for graduating seniors, if a senior was not known to anyone on the committee, they were not included. I thought the easiest way to address this concern would be to simply ask seniors to identify the cultural graduations in which they wished to participate. When I emailed seniors last spring, I received an email from Ricardo Parada where he suggested that I was fulfilling a role that had traditionally been given to underclass students and that I should reconsider the change. I did not change my position. As a result, the number of students participating in cultural graduations doubled. This increase led me to believe my changes were positive because more seniors were participating in the graduations. This year, I reached out to seniors earlier in the year and held informational meetings in the fall and again in the spring. As a result of the outreach, the number of seniors participating in cultural graduations is larger than last year. We held these meetings to explain the stoles and to give seniors an opportunity to see the actual designs so they could personalize their stole. I accept that the fabric choices may be offensive to some, but I believe that seniors should make that decision for themselves. In fact, at one of the later graduation meetings, a few seniors immediately called the fabrics problematic but when they saw pictures of the stoles from last year, they changed their minds and selected the fabric. I have asked Ricardo to send complaints about the changes to me so that I could address the concerns. To date I have only received a few — I think the actual number is five — complaints from seniors regarding the stole choices. Most of those complaints centered around the fact that the senior either wanted something completely different or felt they could not make a selection. For those seniors, we offered a blank stole. The stole would be similar to the other stoles in color and would have the same upper design and text but the bottom of the stole would be left blank intentionally so the senior could add personal mementos that either define or remind them of their identity. Again, it was my intention to give seniors more voice in their graduation, not to silence others. As to the Multicultural Summer Institute (MSI), it is incorrect to say that I refused to implement or commit to integrating student feedback into future sessions of MSI. In fact, in an email to the committee, I shared that I would implement wellness programming this summer. I also shared that we are working with the faculty to integrate Engaging Reflections on Social Justice (ERSJ) conversations into the academic curriculum. The programming from the Intercultural Community Center (ICC) and CDO has been robust, centered on marginalized student populations. Some of the programming I supported include Showing Up For Black Lives III, Yaba Blay’s “Professional Black Girl” presentation, Ahilan Arulanantham’s lecture on current immigration issues and Tarana Burke’s lecture about sexual assault, sexual violence, moving forward and the development of #metoo. Upcoming programming includes Ilana Kauffman, who is a nationally regarded thought leader on the importance of grappling with race and racism in the Jewish community; Margaret Burnham, founder and director of the Civil Rights and Restorative Justice Project at Northeastern University School of Law; and Esther Anne and Penthea Burns from the Maine-Wabanaki REACH program. I also supported a screening of “Black Panther,” which was a momentous occasion for Black/African Americans in the United States, for MSI 2017 students and for supporters of the ICC. I don’t think it is appropriate to speak to the rationale behind my decision to not support certain programs, but there are some inaccuracies that should be addressed. Harambee was fully funded by the ICC last year. No one from Harambee has asked me for funding this year. This year, I have focused on renovating the ICC to make the space more welcoming to students and make the building more accessible by extending the hours of operation. My plan is to change the Center for Gender Equity (CGE) to a secured space so that it can be better used for gender and LGBTQIA+ programming, as well as small intimate discussions, workshops or dialogues for students who represent different identities. If you would like to know more about what is happening, I invite you to visit. My job description directs me to rethink the way we approach diversity, equity and inclusion at Occidental. Rethink implies change.